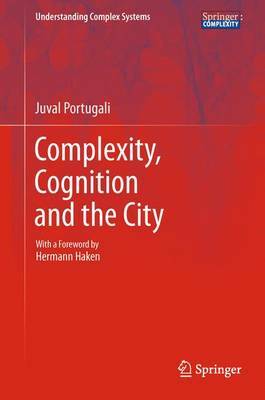 Complexity, Cognition and the City aims at a deeper understanding of urbanism, while invoking, on an equal footing, the contributions both the hard and soft sciences have made, and are still making, when grappling with the many issues and facets of regional planning and dynamics. In this work, the author goes beyond merely seeing the city as a self-organized, emerging pattern of some collective interaction between many stylized urban "agents" - he makes the crucial step of attributing cognition to his agents and thus raises, for the first time, the question on how to deal with a complex system composed of many interacting complex agents in clearly defined settings. Accordingly, the author eventually addresses issues of practical relevance for urban planners and decision makers. The book unfolds its message in a largely nontechnical manner, so as to provide a broad interdisciplinary readership with insights, ideas, and other stimuli to encourage further research - with the twofold aim of further pushing back the boundaries of complexity science and emphasizing the all-important interrelation of hard and soft sciences in recognizing the cognitive sciences as another necessary ingredient for meaningful urban studies.